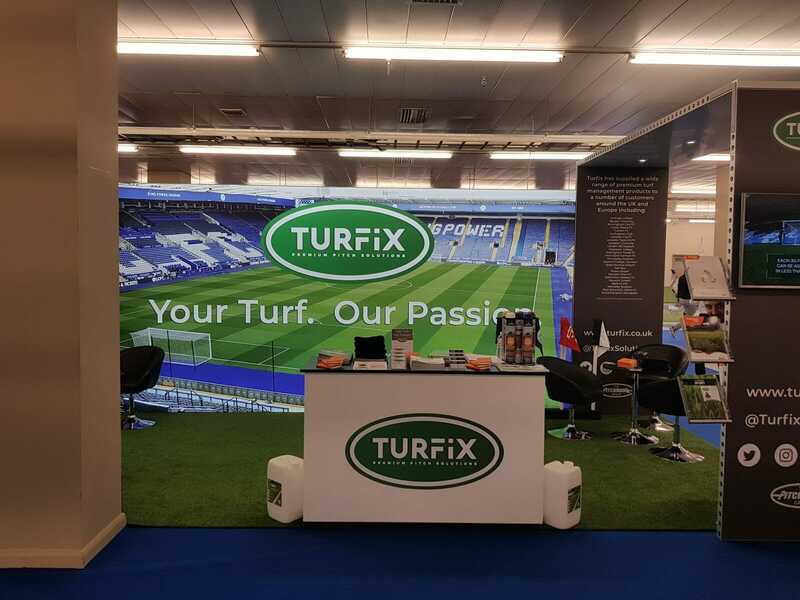 With a stand theme of Your Turf Our Passion Pitchmark report a successful launch at BTME of Turfix, the newly formed subsidiary of The Pitchmark Group. Turfix will act as Pitchmark’s sole UK distribution arm, offering premium pitch solutions to the professional sports turf sector. This will include bespoke advice, education and the supply of a wide range of products from manufacturers including Pitchmark, ICL, Harrod Sport, Tildenet and BMS. Turfix is set up to offer quality of service with turf support managers, who have been groundsmen or greenkeepers, able to spend more time with customers and implement specifically tailored solutions for all their requirements. Turfix customers nationwide will also have access to a unique GPS pitch-marking service using Pitchmark’s LineMaster system.